For the tape sewn closures. 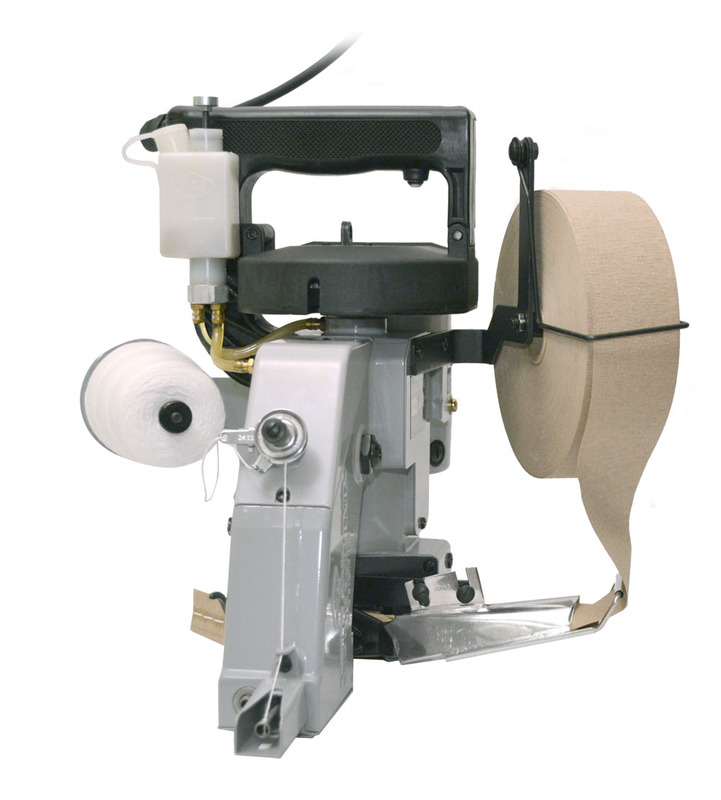 crepe paper (Paper Crepe Tape for portables and heavy duty machines. Can be used with Newlong NP-7, Fischbein Model F, Union Special 4000. An additional Paper Crepe extension (KIT) is needed for your Portable Sewing Machine. 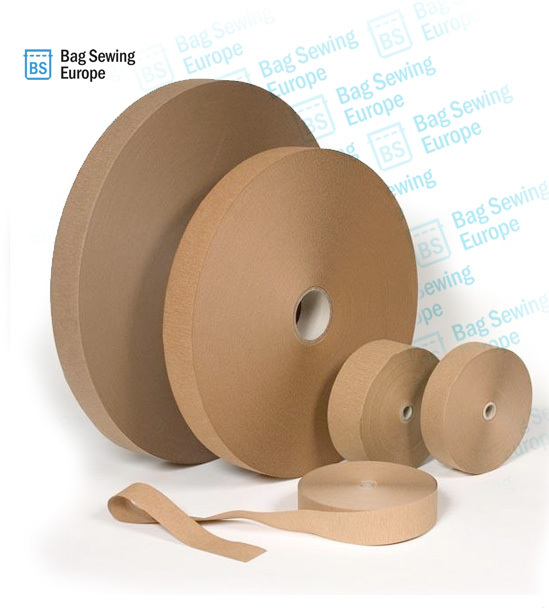 Paper Crepe tape is used for closing paper bags with materials such as powders and other loose material. It can also be used to created Multi Wall paper bags with added foil on the inside such as bags to keep food kool.